Beautiful one owner, move-in ready! 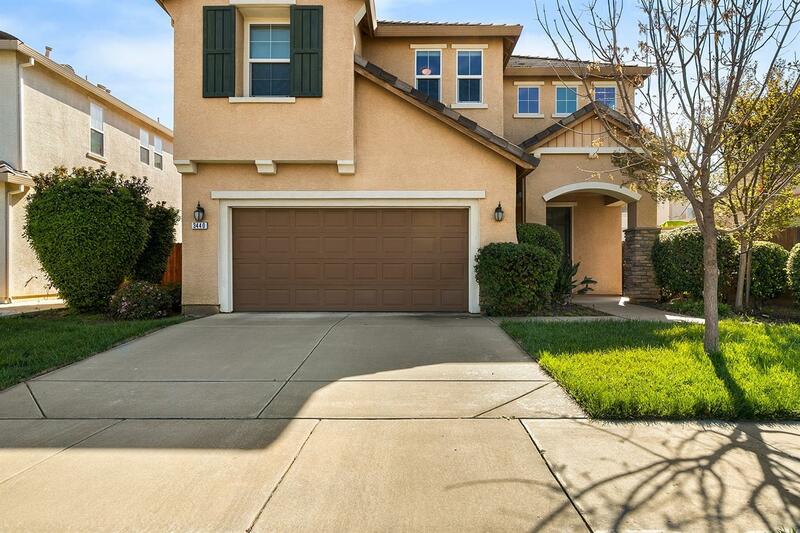 This lovely home features 3 bedrooms, 2.5 baths, 2 car attached garage and a loft. The bright open kitchen features a gas stove top, built-in oven, microwave, dishwasher, tons of counter top space and is open to the family room. The family room has soaring vaulted ceilings and access to the backyard. The master suite features a walk-in closet and a large soaking tub. Upstairs you will also find 2 more bedrooms, a full bath and a loft area which is perfect for a home office or kids play area. This home is located just across the street from the community pool. Conveniently located close to shopping, park, schools and freeway access.